The Nutrition Program provides meals and services for adults, 60 years and older. 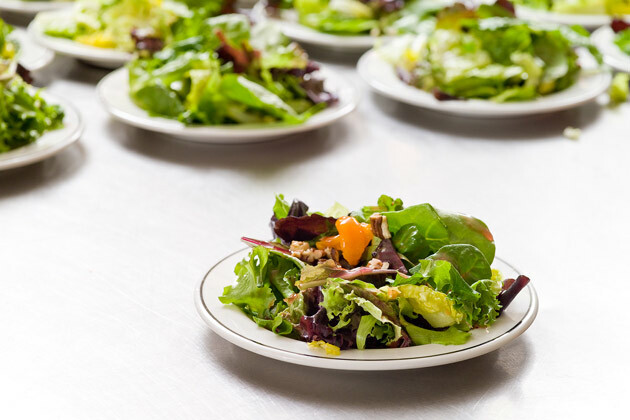 Meals are provided at congregate dining centers and by home delivery throughout Westchester County. Meals are available five or more days per week at approved nutrition sites and multi-purpose centers and to medically-eligible homebound seniors who are unable to participate at congregate sites. Pre-registration is required. Our menus are planned by a Registered Dietitian Nutritionist (RDN) and provide at least one third of the recommended dietary intake (RDI). The meals are prepared locally and the menus change seasonally. In addition to a delicious, hot lunch, many of our congregate dining centers include various social and educational activities - in which you are invited and encouraged to participate, such as exercise programs, dance, arts and crafts, health promotion activities and outings. The RDN is available for nutrition counselling or medical nutrition therapy guiding seniors to making healthy choices based on their medical conditions. Seniors are counselled on their individual nutritional needs, the relationship between diet and disease with the goal of enjoying mealtime and staying healthy. Nutrition education is also provided by an RDN for congregate as well as homebound seniors receiving meals. For both congregate and home-delivered meals, we kindly ask for a small suggested monetary contribution. Contributing is voluntary - you will not be denied lunch due to inability or unwillingness to contribute. All contributions are required to go directly back to the nutrition program. All seniors can participate in the meal program regardless of income. The nutrition programs and meal service are monitored by the Nutrition, Health and Wellness Division of the Westchester County Department of Senior Programs and Services to ensure compliance with federal, state and county regulations. Download the printable brochure, Nutrition, Health and Wellness: Programs for Westchester's Seniors.